Sometimes you need to look the part before you feel ready to play it. Well, that’s what buying a pair of cleats taught me, anyways. When my sneakers finally lost all their tread and I was closer to skating than to running on the field, I caved and bought my first pair of cleats (cheapest ones I could find). The field that we used to play football on every week on had deteriorated to the point that not having cleats was an unfair disadvantage. Immediately I noticed a difference. The small boost in my performance (I could actually turn!) gave me a confidence boost, which helped me felt like I could be more aggressive in playing (even if I wasn’t close to being the greatest player). By making the investment in a half decent pair of cleats, a mental switch flipped — it was as if I was saying to myself that I was actually serious about playing football, staying in shape, and competing. Sometimes you have to put the money out upfront and dress the part to start taking yourself seriously. Or at least I did in this case. Walking out to the field in cleats unconsciously changed my mindset. I didn’t want to wear cleats if I wasn’t going to go try my best during the game. For a long time, I was paralyzed by the thought of failure because I figured I’d just keep feeding into the “girls are bad at sports” stereotype. I didn’t quite realize that until I failed, learned from it, and moved forward, I’d never prove that wrong. I was blessed to have a great group of people to play football with each week that pushed me (whether they realized it or not) to become a better athlete and to not be afraid of failure. My cleats, combined with a safe place to learn, changed my mindset and gave me the courage to ignore my fear of failing and just try. Those cleats (and learning to fail) has continued to motivate me to try things new things. 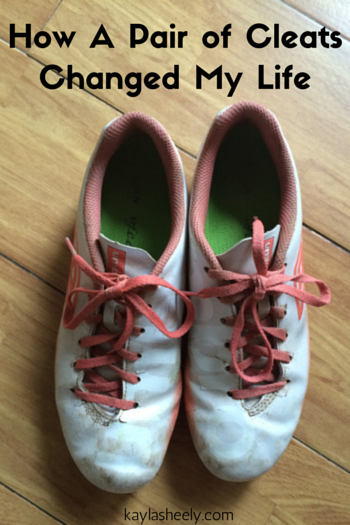 For a long time, I had wanted to play soccer, but I let my fear of failure stand in my way. I was hesitant to even try because of my lack of skill and self doubt. We played a lot of backyard sports growing up, but soccer was definitely not one of them. After a low key New Year’s Day soccer game, I realized I wasn’t quite as bad as I expected to be when I actually tried. I just had to put myself out there, and fail forward fast. When I expressed interest in soccer, some of those same football friends (half of whom also played soccer), put up with me as started to experiment with kicking around a soccer ball. They gave me space to practice and space to fail. I’m definitely no pro soccer player now, but by taking advantage of all the chances I get to kick the ball around and play soccer, I have definitely seen myself grow (and I know I have a long way to go). 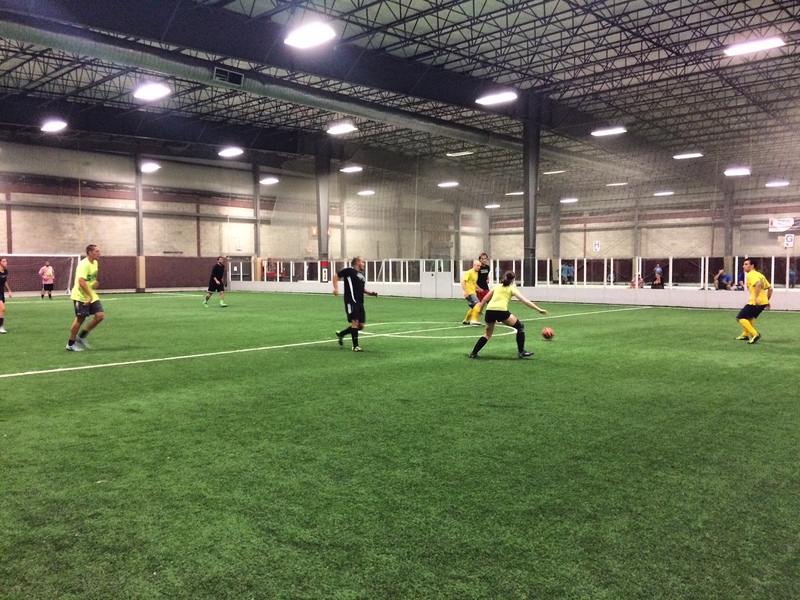 A year ago, I never would have guessed that I’d be playing on actual soccer team these days — and that it’d be one of the highlights of my week! I’d say the $30 I spent on those cleats were well worth it.